Come network with all of your fellow event professionals. Bring a friend. 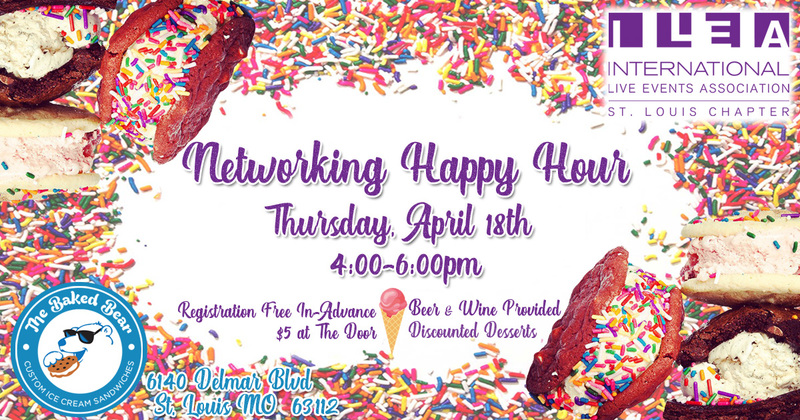 Enjoy a discounted treat from The Baked Bear - St. Louis, and a drink from ILEA STL. REGISTER IN ADVANCE FOR FREE or $5.00 @ the door.